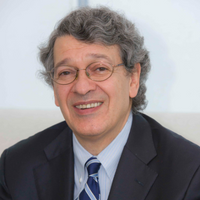 Raul L. Katz is Director of Business Strategy Research at the Columbia Institute for Tele-Information and President of Telecom Advisory Services (www.teleadvs.com), a firm that advises companies and governments in the fields of strategy, regulation and business development. Before founding Telecom Advisory Services, Dr. Katz worked for Booz Allen & Hamilton where he was a Lead Partner in the Communications and Media Practice. In the last seven years, Dr. Katz has been focused on analyzing the economic impact of telecommunications and digital industries. He has led projects on the economic impact of broadband in the United States, Germany, Switzerland, Spain, Saudi Arabia, Senegal, Panama, Philippines, Argentina, Colombia, Mexico, Costa Rica and Ecuador. He was the author of two studies on the economic impact on unlicensed spectrum in the United States.